We like to make sure all our guests start the day with a good hearty breakfast. 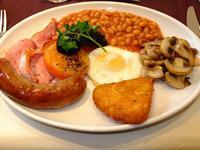 Our breakfast is also available to non residents and is available until 5pm. Probably the hardest thing you will do while staying with us is choosing what to eat. We have a great selection of meals and snacks available in our cosy bar area, with a menu to suit all.Our Light Bites Menu is available until 5pm. 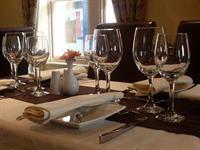 If you fancy something more substantial our A la Carte menu is also available. 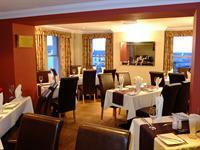 The Golden Lion Hotel offers excellent home cooked food served in our restaurant. Why not check out all our menus below and book a table online or by phone. We are using the best local produce to provide a true taste of Cumbria. 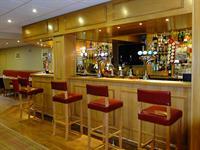 Our menu is very extensive, with a little something for everyone. We have pasta and vegetarian options and also many meals suitable for our Celiac diners.